Tax Day Can Reveal a Silent Partner! Tax Day can reveal a silent partner; it’s a good time to look close! Meet Dr. Ross Nash 4/17 & Meet Dr. Allen Moses 4/22 + Great CE Get-A-Ways! Special attention for Sjogren’s syndrome in April! MaxiTemp Crown & Bridge Material! The Root of It Commentary…………………………………………………………………………………………. Yes it can happen to you and the chances are that it has but you never knew it. Silent partners exist in every business but if you know what to look for you can control it. Often tax compliance advisors can spot “excessive” issues but it takes a little savvy to notice the small ones. However, it is the small ones that have the potential to grow and cause damaging effects. Now most of you are probably saying “not me, because my team is very loyal and loved by my patients”. They may be, but a silent partner is just that, silent! 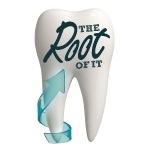 The damage to your business can be done in ways that, as a dentist (small business owner), you may not understand. Here is an example: Let’s say your staff is ordering supplies (clinical or office) and while on the phone the sales person says “if your order totals $2,000.00 you can get a free DVD Player” but the required merchandise only totals $1,600.00, what could happen? The staff member may increase the order to obtain a free $45.00 DVD Player. Now, you may not be informed of that decision and just laid out $400.00 towards un-necessary inventory. If that staff member is also the one that receives the in-bound shipment, you may have a silent partner. This is a very common scenario in small business and can be avoided by recognizing the “opportunities” and heading them off by offering employee incentive programs. In that situation, if you are informed of the program, spend the $45.00 and buy a DVD for the employee as a reward for their honesty. You just saved $350.00 in monthly inventory carrying costs and treated the employee to a bonus. That’s good business! If you are going to have partners, you want to know it. Did you know that a business that accepts free gifts, like that DVD Player is subject to a State Use Tax (sales tax)? If you should be audited by the state department of taxation you will be responsible for the tax and penalties related to the value of the gift. The smallest most innocent event could blow up into something you don’t want to deal with. The answer is employee management and control. It is part of a defensive business strategy and should be addressed in your annually up-dated employee manual. Oh, that right, you don’t have one do you? If you do, I will bet you haven’t looked at it since it was written. In my last blog “Become Super Efficient with Templates,” I mentioned how to make your procedure buttons on the patient chart “super-efficient” by attaching a multi-code to a button. Later, I realized that multi-codes are a great template system that can be used all throughout Dentrix for the entire team, not just in the patient chart. I love multi-codes. In fact, at my office, since the system only allows 8 procedure codes within a multi-code, I have some with multi-codes inside of multi-codes where it will treatment plan 12 procedure codes with the click of one button. Aruba EZ Inventory Control Software………………………………………………………………………….. This Week’s User’s Tip! –JIT Inventory Management! What is JIT inventory management? JIT stands for “Just-In-Time” and it is the standard practice in all well-organized businesses in the 21st Century. The merchandise you keep on hand to run the day by day operation of your business has a cost connected to it. That cost is called “carrying cost” and it can’t be accurately defined unless you conduct a physical inventory of your office. I can’t remember the last time I heard of a dental practice conducting and inventory. 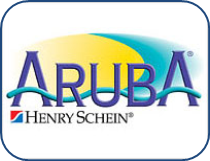 The Aruba program will assist you in controlling the carrying cost. When you highlight an item to be ordered, at the bottom of the screen, just above the order form, the last 3 dates you ordered that item along with the quantity you ordered will be displayed. This gives you the opportunity to gage how much you use and how long it will last. When you send the order, in 99.5% of the cases, the order will be delivered complete the next day. Now, by utilizing Henry Schein’s 2 million SKU warehouse distribution, you can buy what you need when you need it. This Week in Dentistry from the ADA:…………………………………………………………………………. Bethesda, Md.—More than 4 million Americans suffer from Sjogren’s syndrome, according to the Sjogren’s Syndrome Foundation, and the syndrome is in the spotlight in April, which is national Sjogren’s Awareness Month. Henry Schein Brand automix temporary crown and bridge material for creating temporary crowns, bridges, inlays and onlays, and veneers. High-performance, rounded cartridge prevents contamination at the tip and requires less force for easier dispensing of material. 4:1 mix ratio. The Henry Schein Outlet Store:……………………………………………………………………………………. Hi, I do believe this is an excellent site. I stumbledupon it 😉 I’m going to come back yet again since I book marked it. Money and freedom is the best way to change, may you be rich and continue to help other people.